Between a government shutdown, a heated debate over border security, ongoing investigations, and nearly countless false accusations on both sides of the political aisle, church leaders are ministering in a day of outrage while trying to survive a tsunami of news and issues that would make most people want to retreat and disengage from the public square. Church leaders, however, like missionaries, have a responsibility to understand their culture and apply God’s Word to the situations that their people often face. Currently, one of the major issues being debated and attacked in the public square is religious liberty. Here’s a list of five significant religious liberty issues that church leaders should watch in 2019. Organizations like the Ethics and Religious Liberty Commission and Alliance Defending Freedom have been working for years to protect faith-based family services from government interference. In recent days, the Department of Health and Human Services (HHS) exempted Miracle Hill—a South Carolina-based foster care and adoption ministry—from federal laws that made it illegal for any organization that receives federal funding to operate in a manner that was consistent with their religious convictions regarding sexual orientation and gender identity. The decision from HHS to grant an exemption to Miracle Hill will almost certainly be challenged in the courts. Such a legal challenge will have significant implications for other faith-based family service providers. This is a crucial case to watch for churches that receive any form of federal or state subsidies for ministries like a childcare facility, rehabilitation, or other family services. The Becket Fund for Religious Liberty has described the current legal situation of the clergy housing allowance as “the $1 Billion Threat to Churches.” Many churches provide their ministers with a housing allowance that, though subject to self-employment taxes, is exempt from income tax. Some non-religious groups have argued that such tax benefits constitute a privilege for religious people tantamount to an establishment of religion, which would be a violation of the First Amendment. The defense of the clergy housing allowance is complicated by news of some ministers using their tax benefits to live lavish lifestyles. An important case (Gaylor v. Mnuchin) on this issue is due to be decided later this year. In the event that clergy housing allowances are removed, churches, ministers, and other non-profit ministries should be ready to make the appropriate changes to care for their staff members that depend on the provision for affordable housing. Though the case was a matter of international religious liberty, the European Court of Human Right’s ruling against a German family to homeschool their children according to their religious convictions highlights the global instability of parental rights. In 2015, Justice Scalia noted that while parental rights would likely fall under the constitutional category of “unalienable rights” that parents possess, he still believed the Constitution of the United States did not explicitly protect the rights of parents. Some Senators have presented a resolution that would amend the constitution to explicitly acknowledge the rights of parents to educate their children as they deem fit. So far, this amendment has not garnered much attention, but it should, especially among faith communities that value their right educate their children according to their respective worldview. One of the most critical issues for church leaders to watch in 2019 is related to sexual orientation and gender identity laws, which are also known as SOGI laws. SOGI laws attempt to make sexual orientation and gender identity part of a protected class within antidiscrimination legislation. The Equality Act of the Human Rights Campaign is a clear example of how SOGI laws attempt to argue that matters of sexual orientation and gender identity are essentially the same as matters of race. Thus, the Equality Act appropriates the emotion and the arguments of the fight for civil rights for the sake of sexual orientation and gender identity. Others, however, have noted such laws effectively erase women and undermine other federal protections like Title IX. Churches and ministers who have a biblical concern for the direction that the culture is taking on matters of sexual orientation and gender identity need to pay close attention. While church leaders should naturally be concerned with the issues raised above, the biggest obstacle they face is leading a group of people who are mostly uninformed or apathetic to the principles of religious liberty. Church leaders should plan to teach their congregations a biblical perspective on religious liberty. As opportunities arise for leaders to teach on passages of Scripture like Romans 13:1-7 and 1 Peter 2:13-14, they must explain the legitimacy and the limitations of the government. There are certain things God has ordained the government to do, and other things the government must never do. Church leaders must remind their people that the conscience belongs to God, not the government. So, while we encourage our people to live in obedience under the authority of such a government when it is functioning according to God’s plan, we also remind them of a higher obligation to obey God (Acts 5:29). When the government attempts to overstep its legitimate boundaries of authority, we, as responsible citizen of the kingdom of Christ, must remind the government that God alone is the Lord of the conscience, and that we are willing to suffer the consequence of remaining faithful to Him (1 Peter 4:12-19). 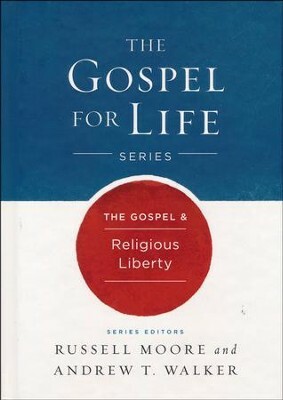 For church leaders who are interested in equipping their church with a robust understanding of religious liberty from a biblical and theological perspective, I would recommend a book edited by Russell Moore and Andrew Walker, entitled, The Gospel & Religious Liberty and a small-group Bible study from Lifeway and the ERLC, entitled, Religious Liberty: How the Gospel Shapes Our First Freedom. CASEY B. HOUGH (@caseybhough) is senior pastor of First Baptist Church in Camden, Arkansas. He’s currently pursuing a Ph.D. from New Orleans Baptist Theological Seminary, and is a research fellow with the Ethics and Religious Liberty Commission. Thanks. I like current news re Christians & government updates in USA.